~Use all purpose flour or bread flour. ~Use vegetable oil or butter. ~Use instant yeast or dry active yeast. ~Use a mixer or make it by hand. It takes about 90 minutes from start to finish to make this easy bread. And I have a couple of helpful tips. First: Aerate your flour before measuring. If you don’t your dough will be dry. See my flour basics: https://www.jennycancook.com/flour-basics/ Second: The best size loaf pan for yeast bread is 8 1/2 by 4 1/2 inches. If you use a wider or longer pan, the dough won’t rise up and be tall like mine. 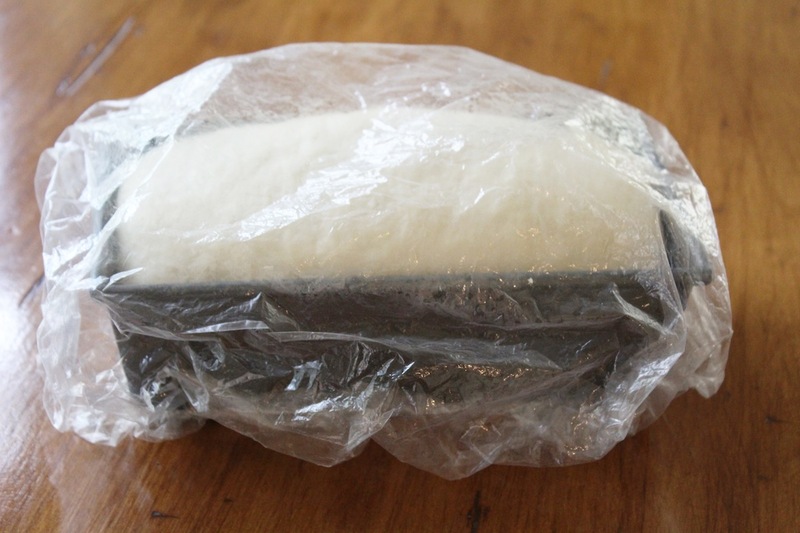 Third: When rising your bread it will rise faster if there is moisture but if you cover it with plastic wrap, it can stick and be hard to remove without damaging the dough. The solution? A shower cap! 22 Comments on "Fast & Easy White Bread"
Hi Jenny, I’m so glad I came across your u tube channel and website. I have tried quite a few of your recipes and my family loved each one. I was wondering, can the bread dough for the loaves be frozen to bake later? If so can you tell me if it should be thawed before baking or baked frozen? 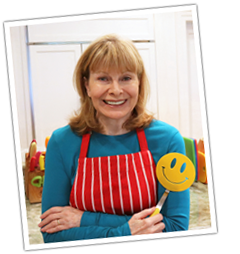 Thank you so much for sharing all your recipes. Do I need to change anything in your recipe for Simple White Bread as I live in Colorado elevation of 5,800+? Maybe that’s why I can’t make my bread come out like yours? Jenny, my loaf rose beautifully, until the last 10 minutes of baking, it sunk in the middle across, I wonder what happened? How do you form the dough into a loaf. Is it the same way as you do for Cinnamon rolls? Hi Jenny, I did exactly that before I got your message.I thought if I would look at some of your bread videos, I would find one of you shaping the dough into a loaf.Im sorry I didn’t think to do that before I bothered you. Thank you for always being patient with us new bread makers. I’m confused, is your recipe for Easy white bread (no egg)the same as your recipe for Fast and Easy white bread the same, or are they two separate recipes. Do both recipes produce a soft sandwich bread? 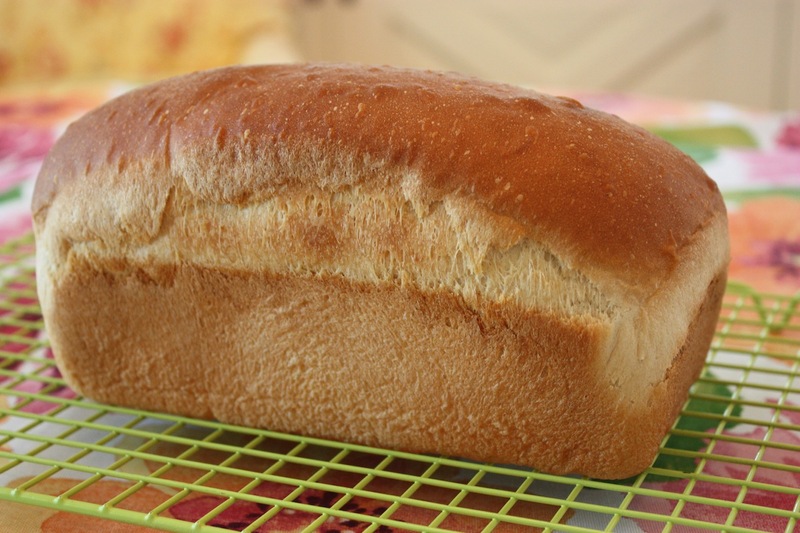 This post is for the Easy White Bread (no egg) – the link takes you there. So yes, they are the same recipe. I recently started making homemade bread and teaching my grandkids the art also. lot of fun. Your recepie is the easiest to follow and I’ll be trying it tonight. I’m out if bread(LOL). The shower cap was the icing on the cake so to speak. If u spray saran wrap with cooking spray it doesn’t stick to the risen dough. It works. Thanks again Jenny. Wouldn’t the room temperature also be a factor in rise time? My yeast package says to let dough rise in a warm, draft free place. My cousin says she puts her dough inside her car parked in the sun with the windows up to shorten rise time. So do I double everything exactly for 2 loaves? I have never doubled so I’m not sure but “Yoly” just posted her photo of two loaves. You can ask her with a comment in my current blog posting. Can I make rolls out of this bread receipt? Hey Jenny, don’t you think there is too much yeast? I haven’t done this yet because i’m afraid it will smell too much yeast. That great smell that everybody loves when they make homemade bread comes from the yeast. I have confidence in all my recipes and hope you will try it.